Joint Web Shop Coming 22nd of May! As announced two weeks ago, we are about to move with all our products into one joint web shop. We are happy to share that this move will take place next week over Pentecost weekend (19th - 21st May). As of 22nd May, you will find all GATC and Eurofins Genomics products at one place: www.eurofinsgenomics.eu. Unfortunately, due to technical issues with myGATC, our services will only be partially available this week. For detailed information, please visit www.mygatc.com. We sincerely apologise for any inconvenience this may cause and kindly ask for your understanding. With regard to your myGATC account, we will keep your barcodes and your data and you can still use and access everything you need at the new web shop! If you want to learn more about the details, check our last blog post or contact us with your questions. Please note that due to the migration, the Eurofins Genomics system will be shut down starting Friday 18th May at 6 pm CET and will not be accessible over the weekend. We will be back for you on Tuesday, 22nd May with all our services and access to your data at www.eurofinsgenomics.eu. Due to the shutdown of our systems, we will also not be able to process your Sanger sequencing samples on Friday after 6 pm CET. We will still deliver your overnight results for samples sent on Thursday. Results for all other samples (Thursday samples with next day service and samples sent on Friday) will be available as of Tuesday, 22nd May. 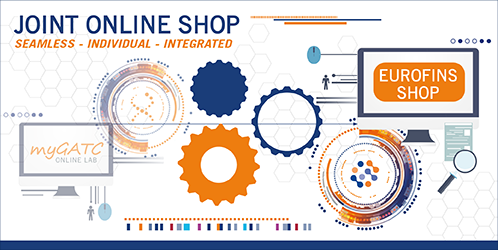 Also, check out our comprehensive video tutorial series on how to use the Eurofins web shop and how to order our services. Make sure to check back soon for the first two clips!